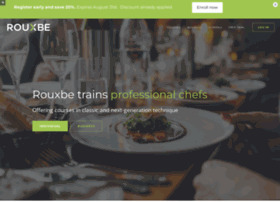 Registrant Organization: ROUXBE GLOBAL FOOD GROUP, INC.
Admin Organization: ROUXBE GLOBAL FOOD GROUP, INC.
Tech Organization: ROUXBE GLOBAL FOOD GROUP, INC. THE NAMEIT CORPORATION reserves the right to modify these terms at any time. Iron Realms Entertainment – Iron Realms is the world's leading creator of MUDs.